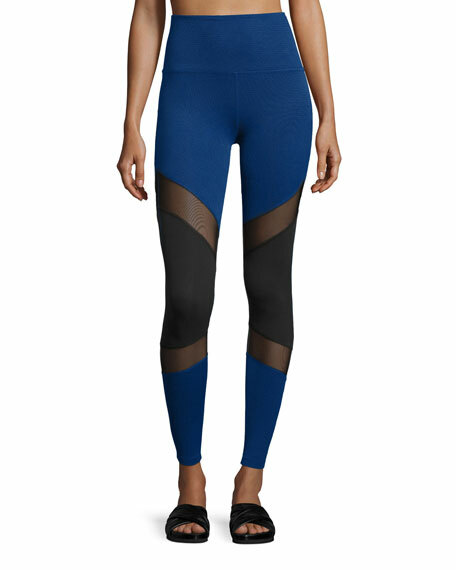 Beyond Yoga "Deco Mirror" leggings/compression tights in colorblock performance knit. Approx. measurements: 28.5"L inseam; 40" outseam. 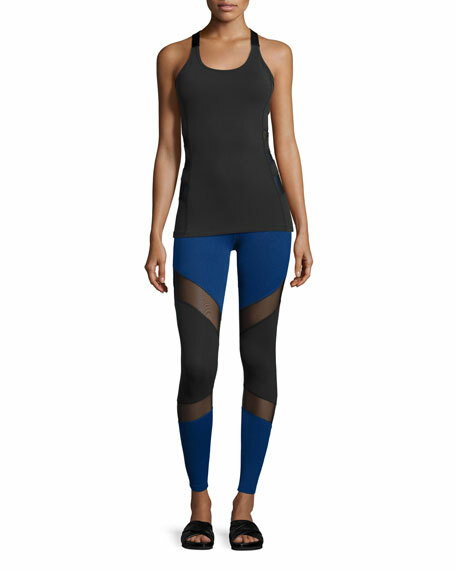 Angled mesh panels at thighs and calves. For in-store inquiries, use sku #2080763.